Sick of your broken down asphalt? 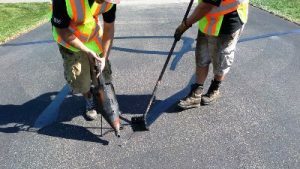 Have you let the condition of your driveway or parking lot continue to get worse because you thought that asphalt replacement was your only option? Well, our team at Seal King Professional Sealcoating has good news for you! The truth is that asphalt replacement is very time consuming and extremely expensive. The more affordable alternative is to partner with Seal King Professional Sealcoating, your trusted Wisconsin sealcoating company. We offer residential and commercial sealcoating applications that are affordable and can help revitalize and strengthen your existing concrete without having to replace it. Before we talk about the sealcoating process, we first need to highlight the best sealer on the market that is used on every job that our team completes. 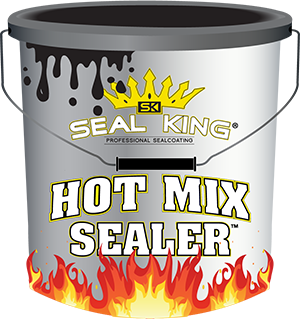 At Seal King Professional Sealcoating, we blend our one of a kind sealer that incorporates the greatest raw products, high performance additives and blackening agents to create the perfect hot mix sealer. Many other sealcoating companies fly through this part of the process, providing their clients with inferior sealer in return. This sealer is stored in a climate-controlled warehouse so that it is not impacted by weather related issues. To top it off, our hot mix sealer is safe for the environment which is a characteristic that we’re very proud of. One of the greatest features of a professional sealcoating application is that it can help bring a whole new look to your driveway. Sealcoating helps protect your driveway or parking lot from mother nature as well as other elements such as oil spills. Additionally, our effective sealcoating services help reduce aging. Thanks to our use of the best materials around, you’ll be able to achieve a new parking lot or driveway look at a fraction of the cost that you’d end up paying to replace your asphalt. Rest assured that every step of our residential and commercial process is completed with every sealcoating project that we take on. 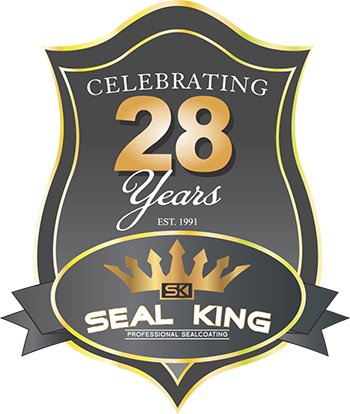 So, if you’re ready to partner with the best Wisconsin sealcoating company around, it’s time to partner with Seal King Professional Sealcoating. Serving Wisconsin since 1991, there’s not a project that we shy away from. Nothing brings us more joy than being able to bring a new look to a driveway or parking lot without our client having to invest in a full asphalt replacement. To find a Wisconsin Seal King Professional Sealcoating location nearest you, visit www.sealking.com. This entry was posted	on Friday, November 9th, 2018 at 8:44 pm	and is filed under Asphalt Sealcoating, Driveway Sealing Companies, Sealcoating Contractors, Wisconsin. You can follow any responses to this entry through the RSS 2.0 feed. You can leave a response, or trackback from your own site.